Peter was a 21 year old labourer and mill hand when he enlisted in Gilgandra on October 9, 1915 and joined the Coo-ee March to Sydney. He was born in Nyngan on December 28, 1894, his sister Christine was his stated next of kin who lived in Millers Point, Sydney, and later c/o Mrs Hollman, Rusden St Armidale, NSW. 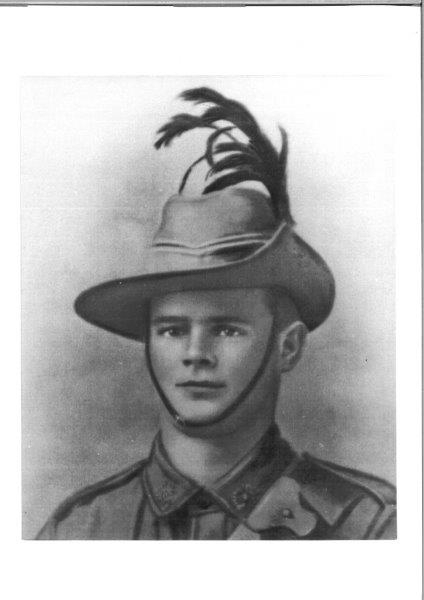 He had no previous military service and was single, living in Myrtle St Gilgandra. The medical examination by Dr Peet described him as 5’9”, 11st 7lb (73kgs), dark complexion, brown eyes and black hair with an oval scar on his back. According to one report he had failed 2 previous medicals, so he undertook a course of physical training and passed. He trained with the 7th Light Horse Regiment at Menangle Park, NSW and embarked for Egypt on April 18, 1916 on the ‘Palermo’. He trained at Tel el Kabir and was assigned to the 1st Field Squadron Engineers as a sapper. A sapper is a soldier who establishes and maintains communications, bridge-building, demolitions, field defenses and general construction, as well as road and railway construction and repair. Other than a few episodes in hospital, Sapper Wilson was involved in the defense of the Suez Canal and the pursuit of the Turks through to the Battle of Romani. In 1917 the advance continued to Beersheba, Gaza and Jerusalem. In Jerusalem he suffered illness and an injured hand when he was thrown from a wagon in the line of duty. However he back with his unit in time to see the armistice signed on October, 31, 1918 between the British and the Ottoman Empire, ending the war in Palestine. He finished his service in Kantara with the AIF Headquarters as a Driver and returned to Australia on the ‘Malta’ on July 3, 1919 and was discharged on September 29, 1919. Peter wrote to the army requesting a copy of the discharge papers as they were destroyed in 1933 in a fire at his camp while he was tank sinking in Brewarrina NSW. The Returned Service League RSL) at Coonamble NSW also wrote to the army stating the papers were needed to apply for a land ballot. His foster mother was Martha Moody (? Mudie) of Wrigley St Gilgandra. Peter received the British War Medal and the Victory Medal.